Rachel Armstrong’s stunning follow-up to her critically acclaimed debut novel Origamy. 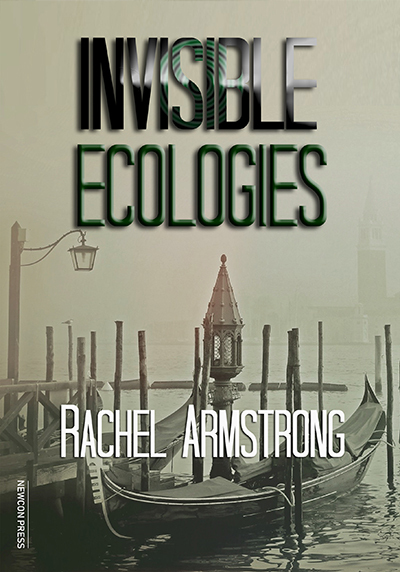 Set in a near-future Venice, Invisible Ecologies tells the story of Po, an ambiguously gendered boy born into a community of ocean gypsies who shares an intimate connection with a nascent sentience emerging within the Po delta: the bioregion upon which the city of Venice is founded. The intrepid pair embark on a series of extraordinary adventures and, as Po starts school, stumble upon the Mayor’s drastic plans to modernise the city and reshape the future of the lagoon and its people. Rachel Armstrong is Professor of Experimental Architecture at Newcastle University and a 2010 Senior TED Fellow. A former medical doctor, she now designs experiments that explore the transition between inert and living matter and considers their implications for life beyond our solar system. Available as an A5 paperback and a special numbered hardback edition, limited to 100 copies and signed by the author.